If you are over 50, the AARP organization provides free, qualified assistance through a program that reimburses their volunteers for their expenses, so that they can give you the best service possible. You don’t have to be an AARP member either; just contact a provider near you. If you are 60 years of age or older, you could choose to use the IRS TCE program instead, which also supplies certified voluntary help across the country. The older we get, the more medical attention we may need. Why shouldn’t you use those bills to your advantage? If you turned 65 or older during the year 2016, you can deduct medical bills that meet or exceed 10 percent of your gross adjusted income. This could lower the amount you have to pay or increase the amount of your refund. If you own a small business to help bring in some extra income, make sure you keep solid records of each sale you make. If you hold back a percentage of each sale, you will be able to plan ahead to comfortably pay taxes for your business when the time comes. This way, you won’t be scrambling and pulling from your personal bank account in order to pay the lump sum all at once. Make sure to make things easier on yourself by using W-2 and/or 1099 software for your form filing as well. A monthly plan of action is really the biggest key to a smooth tax filing process. Not only will you feel better about how your money is being spent year-round, but you will be able to think ahead toward paying your taxes. A few categories to consider include: charity gifts, emergency funds and savings, bills, and everyday spending. You might be impressed at how much you were able to save by the end of the year, and how peaceful it is knowing that will be waiting in your account for whenever you need it. There is a lot of unnecessary worry that goes into the tax filing process. By now, you are practically an expert in the area of what to do and what not to do when filing taxes. Using everything you’ve learned over the years, take a minute and plan ahead. Set up your tax filing appointment several weeks in advance. During those weeks, pick one item per day to focus on. Set aside time to pull together all of the necessary paperwork, and keep it together in a safe place. Double check your bank funds, and if you have a money-market or similar bank account with a significant return, make sure you know how much you gained by the year’s end. This way, you won’t dreading the process and rushing to complete it all at once. Fulfilling one task a day keeps the stress away. Now, you can say you are better prepared to file your taxes this year. As tax guidelines fluctuate over the years, make sure to keep up with any details that are applicable to your age and tax bracket. From free tax help to a stress-free filing experience, enjoy all of the benefits available to you. You’ve earned it! Ms. Morris is a life and career coach who strives to help others live the best lives that they can. She believes she can relate to clients who feel run over by life because of her own experiences. Ms. Morris spent years in an unfulfilling career in finance before deciding to help people in other ways. “Questions and Answers: Changes to the Itemized Deduction for 2016 Medical Expenses,” IRS.gov. “6 Tax Perks for Seniors,” The Motley Fool. “How To Create A Budget: A 6-Step Guide” NatalieBacon.com. 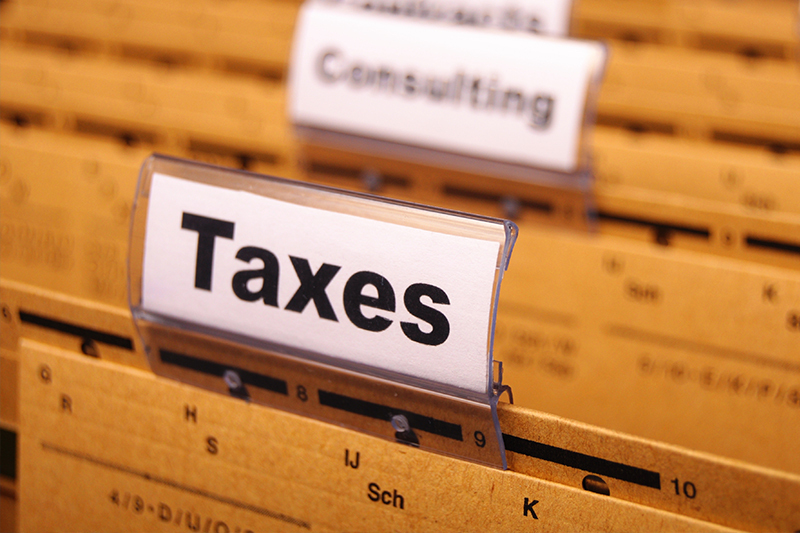 “Small Business Taxes for Beginners: How Much to Set Aside,” Roberg Tax Solutions. “Free Tax Preparation From AARP Foundation Tax-Aide,” AARP Foundation.